Length: 30-40mm. This slug belongs to a species complex (Arion fasciatus group) containing the following species: Arion silvaticus, A. circumscriptus and A. fasciatus which are hard to distinguish without dissecting the genitalia, though some visual differences are present - see below. All are greyish centrally and white laterally with a pair of dark-colored longitudinal stripes.However Arion silvaticus has no speckly markings on the mantle and has pale silvery flanks beneath the stripe. The tentacles and head are black in colour. The pneumostome (breathing pore) occurs in the anterior one-third of the slug's mantle on the right side of the body. In contracted individuals the body is bell-shaped. No keel is present in this group; however, an enlarged row of pale coloured tubercles may create an impression that one may exist (false keel). The sole of this species-complex is pale coloured, similar to the foot fringe and the mucus secreted by this group is colourless or occasionally pale yellow. Moist, sheltered places of all kinds, found in herbage and under ground litter. It is tolerant of non-calcareous habitats and can be found in acid woodland, heathland, sea cliffs and mountains. Frequently reproduces by self-fertilization. Otherwise it may exchange sperm with another slug, each one fertilizing the other. Approximately 150 to 200 eggs are laid in clusters. They will hatch in 3 to 4 weeks. Both adults and eggs overwinter. 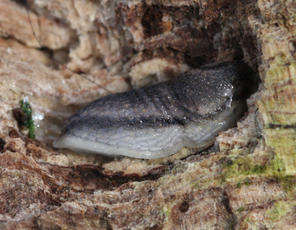 Adult slugs lay their eggs in the summer, and the eggs will hatch in the autumn. Each egg is approximately 5 mm across. The egg shell may be partially calcified. 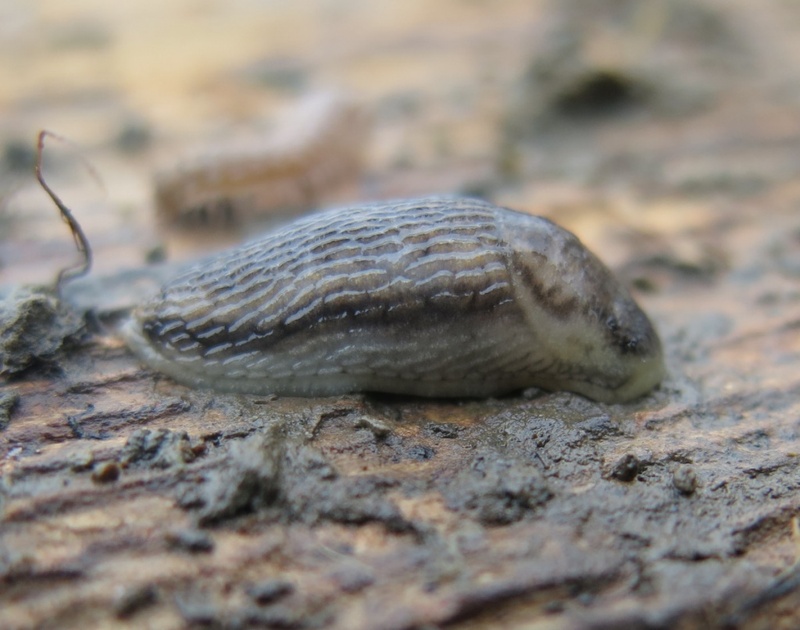 These newly hatched slugs will be mature by the following spring.